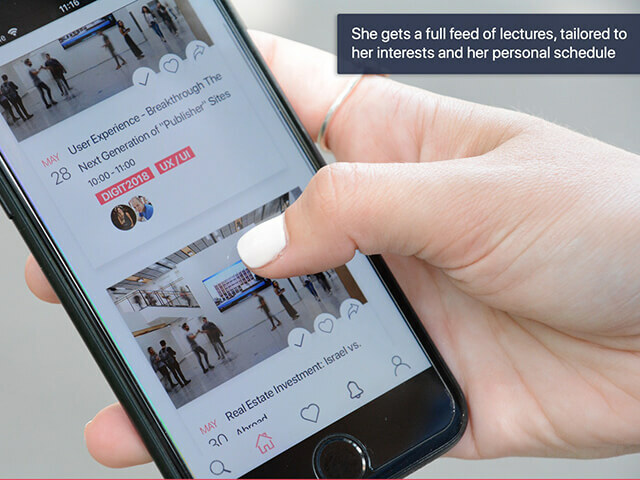 An event matching app which offers the most relevant lectures and events on campus, based on the student’s personal interests. 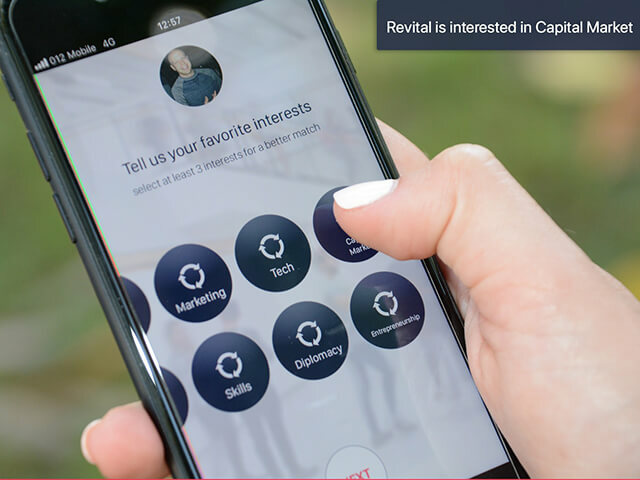 In addition, Talkhouse app suggests upcoming events, tailored to the user’s schedule, thus, creating a ‘perfect match’ for activities that suitable just for him. Our app specializes in Microtargeting, hence capable to match even single lectures in conferences or multi-subject events. The user also may sign up directly for an event through the app, see which of the friends are attending and invite others who aren’t. The content in the application consists of events, conferences, and lectures, based on the information and content provided by the events department in IDC Herzliya. There are “push” notifications that alert in advance about the lectures to which the user is enrolled. The user can define how long he or she wants to receive the notification before. The event database is taken from Salesforce API server of the IDC events department. In addition, using Facebook API, for every event, the app can present the user with his enrolled friends.